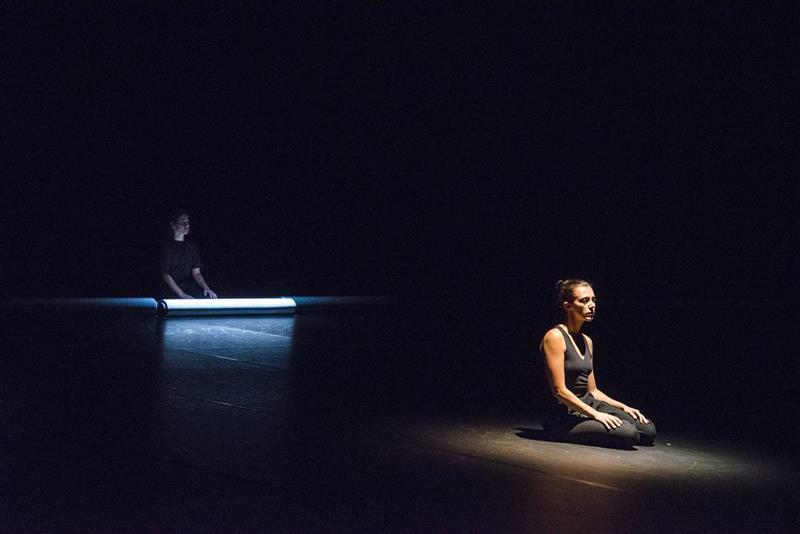 Zee is a dance piece in which the two performers find themselves in a continuous conversation. They go through physical, emotional and mental landscapes. 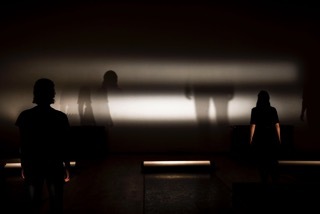 This ongoing concentration simultaneously connects and isolates them in their solitude. Bahar Temiz is interested in the concept of Game Theory in order to propose different models of conflict and cooperation in which participants, as intelligent decision-makers, can develop individual strategies to move as a group without hierarchy. The moment we are with one or many people, time weaves bonds between the solitudes of each and unites us in solidarity. The connection to one’s self, the other and the world intensifies and provides a sensation of change, transformation and revolution. Zee is a meditation on togetherness and on how these negotiations define and divide individuals. concept and choreography Bahar Temiz in collaboration with Daphne Koutsafti, Pol Matthé, Maik Riebort, Emmilou Rößling performers Daphne Koutsafti, Bahar Temiz artistic advice Marc Vanrunxt outside eye David Bergé light design Pol Matthé technique Nele Verreyken thanks to Mesut Arslan, Meryem Bayram, Jasper Delbecke, Kerem Gelebek, Robrecht Ghesquière, Julien Lacroix, Jan Maertens, Lynda Rahal, Jonas Rutgeerts, Valerie De Visscher, Kunst/Werk, M.A.R.S. Daphne Koutsafti (1986, Athens) studied German Language and Literature at the University of Athens. She worked as a performer with Lee Breuer, Eva Stefani, as an actress in « Stakaman » (2000) and « Les secrets de la ville » (2001). She moved to Paris where she studied contemporary dance at R.I.D.C. In 2012, she joined the Maguy Marin Company for the revival of « Salves » and the creation of « Nocturnes ». 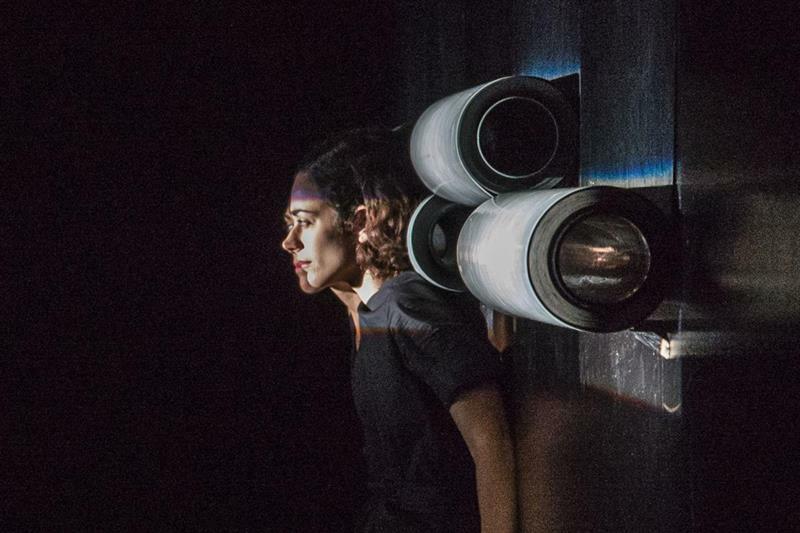 Over the four years within the company, she performed in « May B », « Umwelt » and collaborated in the creation of « BiT ». She works as a dancer, performer and actrice for different artists. Pol Matthé (1982) lives and works in Stockholm, Sweden. He studied Photography at the Royal Academy of Fine Arts in Antwerp, Belgium. By means of notations, objects, documents and photography, he creates site- and situation-specific installations, multiples, performances, interventions, and printed matter. He continuously sweeps the sidewalks and meticulously layers, overlaps and folds. In 2003, he founded the small press Z Forlag, which publishes artist books, editions and multiples on an irregular basis. Emmilou Rößling (1991, Berlin) is a choreographer and performer. 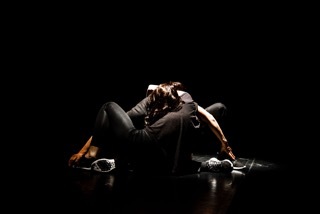 She studied dance and theatre in London and Dublin and holds an MA in Choreography from JLU Gießen. Her work evolves around questions concerning representation and perception, searching for a performance mode beyond the spectacular and always striving towards some form of camouflage. Recent pieces include « Water Cooler Chat (WT) », « CASCADE », « Zegnaj Olimpio » and « Talk.Talk ». 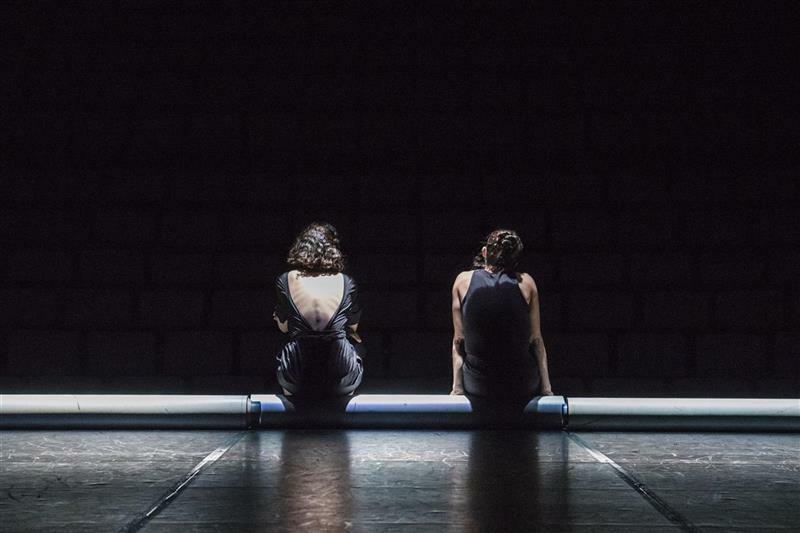 Emmilou works in different constellations with Antonia Baehr, Valérie Castan, Ivana Müller, Lilach Livne, Ruta Junevičiūtė, Tom Engels, Quast&Knoblich and others. In 2017 she was recipient of the DanceWeb scholarship and started PAP Berlin’s Mentoring Program with Alice Chauchat.